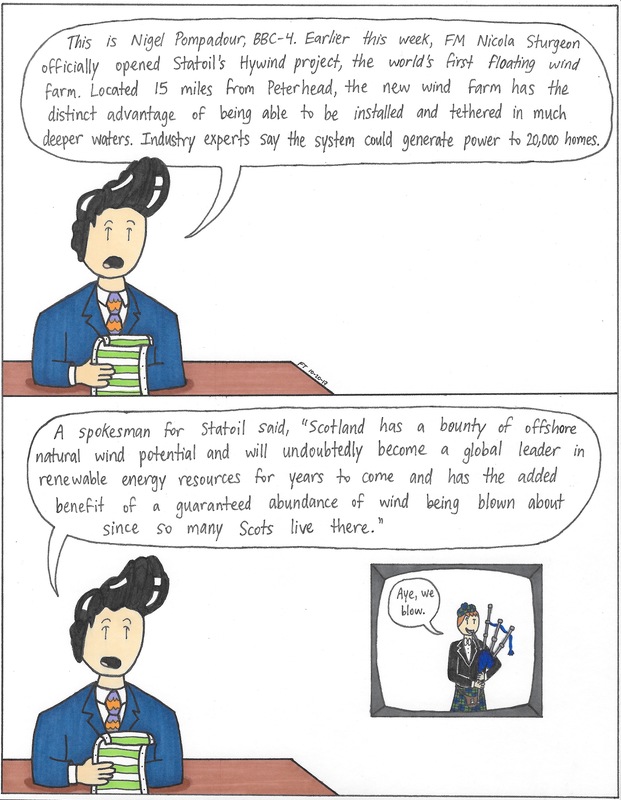 This entry was posted in Uncategorized and tagged #bagpipes, #BBQ, #floatingwindfarm, #funny, #Hywind, #nigelpompadour, #Scotland, #Statoil, #webcomic, #windfarm. Bookmark the permalink. excellent work .Do you do animation ? Thank you for the reply. All the best for the future, really liked your work.